As long as the red trendline is not broken on the upside I don’t think there is much point in looking at bullish counts, hence I have only discussed the most probable bearish count in this article. Looks like the Wave B was a double Zig Zag and the Wave C has already started as an impulse down in 5 Waves. 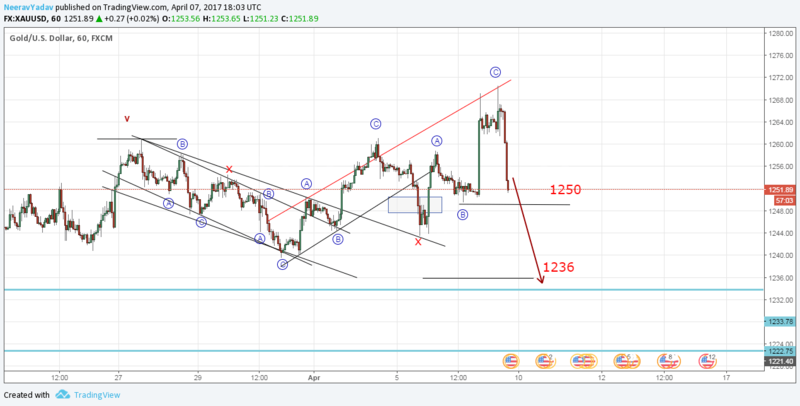 Based on this count the most probable target for C are : 1250, 1236. Please note that at this point there are a lot of counts that can be taken as an alternate view, if I discuss all of them the situation will become quite confusing, hence I have only discussed the most probable count here.